The most important factor in the applicant’s folder is the high school academic record. Many consider the academic record to be the best indication of later college success. The program of study, specific courses, credits earned, and the grades the student received are aspects of the record that admission officers will consider in evaluating the student’s transcript (the student’s official academic record). Colleges pay special attention to the challenging courses the student has successfully taken. Fortunately, the student has much control over his or her academic record. 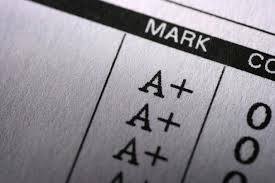 ​When a student’s record is compared with that of his or her classmates, he or she is assigned a class ranking relative to the others in the class. Class rank is important as a means of showing admission officers the level of competition the student has encountered and how well he or she has achieved compared to the competition. Not all high schools compute class rank. ​What is my "School Resume"?